ON VIEW: In our education area through Sunday, July 23, 2017. Join us to celebrate after: Daleesha, Corey, Raymond & Toby, the culminating exhibition of the Sculpture Studio’s Fall 2016 and Spring 2017 sessions, which focused on John Ahearn’s 1991 South Bronx bronze sculptures. Participants engaged with the history and impact of these sculptures through writing, drawing, and painting. 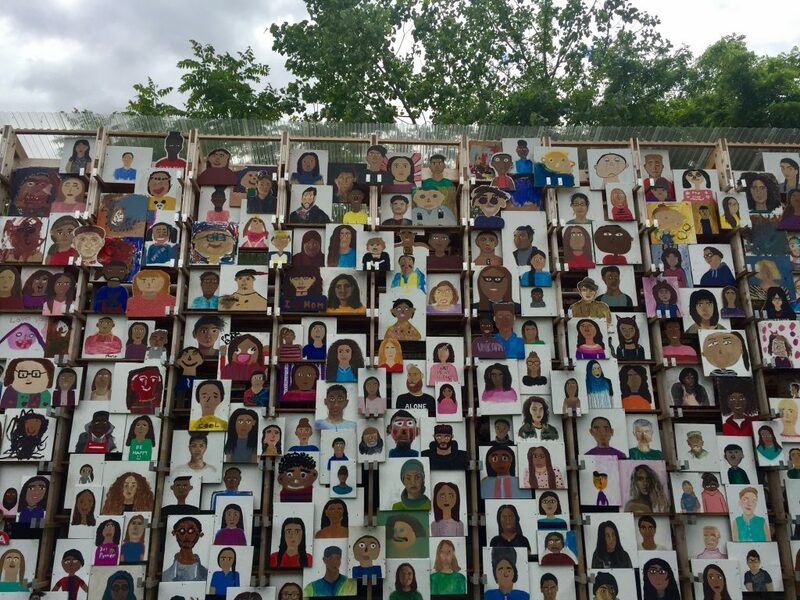 All are welcome to experience this diverse self-portraiture and artwork from 250+ local participants, and to consider the role of race and class on the way individuals and communities are represented in public space. Sculpture Studio cultivates direct partnerships with public schools and community groups to develop a sculpture and art-making practice. Over the course of the program, participants and educators share an ongoing dialogue and creative process about techniques and current issues in the production of making art. The Fall 2016-Spring 2017 program was facilitated by longtime Socrates educator and artist, Kim Charles Kay, and explored the history, reception, and impact of John Ahearn’s 1991 South Bronx bronze sculptures. Participants were invited to engage with them anew in today’s climate, through writings, drawings, and sculpture, as well as conversations on race, class, and how context or place shapes the ways an artwork is received. Participating partners include Long Island City High School, Baccalaureate School for Global Education, Frank Sinatra School of the Arts, PS 993, IS 126, City Year, Sunnyside Community Services, and Queens Community House. The Sculpture Studio is made possible through the generosity of the Deutsche Bank America Foundation, JPB Foundation, and the Pierre and Tana Matisse Foundation.